Manufacturers are being challenged by the Local Government Association to rethink plastic food packaging so that councils can increase recycling and reduce waste sent to landfill. According to LGA, 525,000 tonnes of plastic pots, tubs and trays are used by households a year but just 169,145 tonnes of this waste is recyclable. Consequently, LGA is calling for manufacturers to work with councils to develop a plan to stop unrecyclable food packaging from entering the environment. Packaging for food can be made from a variety of polymers that need to be separated out to remove “low grade” and non-recyclable polymers such as polystyrene. LGA state that fruit and vegetable punnets are often made from three different types of polymers including polystyrene. Some plastic packaging is made from a combination of polymers, as different plastics are used in the body and lid of a yoghurt pot. 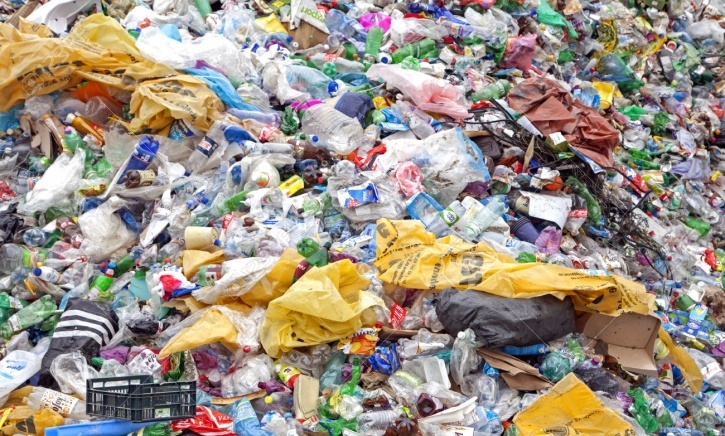 Nearly all councils (99 per cent) collect plastic bottles for recycling and 77 per cent collect pots, tubs and trays, but the inclusion of these polymers is said to be hampering recycling efforts. Alternatives to certain plastics could include cardboard, paper or a recyclable version of pots. Microwave meal and meat packaging. These materials can be re-sorted and recycled easily, but need to be sorted using an optical scanner beforehand. The optical scanner can sort this material from any other colour other than black, yet manufacturers choose use black packaging for aesthetic reasons. Changing the colour of these trays could lead to a real increase in recycling. I am sure I am not the only one to wonder why this is only being revealed now, why wasn’t this problem fixed years ago. Do I detect a lack of government leadership? At least there seems to be a move away from blaming the consumer! Plastic packaging is devised by the packaging industry in conjunction with retailers and manufacturing and distribition companies. They sell it it to us on the basis that ‘we’ want the convenience, when in reality it is retailers who find it much easier to handle pre-packaged products. Retailers should take a bigger lead in collecting the used packaging, that way they would be incentivised to do better. As consumers really we have no choice, it is either take the product as supplied or go without! The only part we play in this is in trying to make sure we comply as best we can with the recycling facilities our councils make available. And remember that some councils have been fining people for not recycling properly so perhaps they should be made to refund those penalties. This is really awful. I, along with many others try and do what is best in terms of recycling waste food containers. I have always had a sneaky suspicion that the ‘Packaging Industry’ has been having us on and paying lip service to recycling, with as stated by the previous correspondent the get out that ‘we’ the consumer want it that way. I hope they finally get the message that we do not want it ‘that’ way. I also suspect that this has only come out because we can no longer dump our waste plastic in China and other East Asian countries where again, in the past, we have paid lip service to recycling.